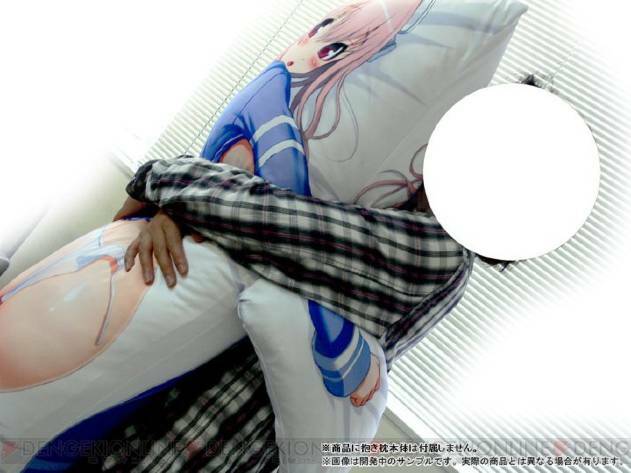 The "Super Sonico Hugging Pillow" from Nitro Plus attaches arms to the typical body pillowcase. With all extremities accounted for, the pillowcase measures 160x150cm. The pillowcase has two sides. Both show the girl wearing earphones, so she won't be able to hear you when you whisper sweet nothings into her ear.